In the 1980's, attorney Early successfully undertook to represent thousands of workers who contracted diseases from occupational exposure to asbestos. 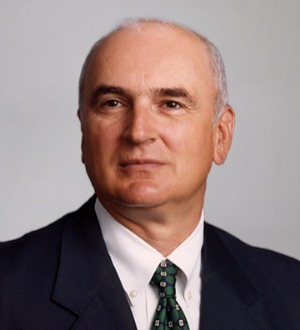 He is the co-founder and president of Early, Lucarelli, Sweeney & Meisenkothen, with offices in New Haven, Connecticut and New York City. Currently attorney Early concentrates his practice in representing asbestos victims, particularly those diagnosed with malignant mesothelioma. He represents thousands of asbestos victims nationwide. Also, he has represented hundreds of children. Attorney Early has been appointed by the State Courts of Connecticut as lead counsel for plaintiffs filing lawsuits for asbestos diseases and for poisoning from lead paint. Attorney Early graduated from Harvard College and then from the Boston University School of Law. He is a member of the Connecticut, New York, New Hampshire, and New Haven County Bar Associations; the American Association for Justice; and the Connecticut Trial Lawyers Association. Attorney Early was admitted to the Bar, 1971, New Hampshire and U.S. District Court, District of New Hampshire; 1973, U.S. Court of Appeals, 1st Circuit; 1975, Connecticut and U.S. District Court, District of Connecticut; 1977 U.S. Court of Appeals, 2nd Circuit; 1987 United States District Court, District of Rhode Island; and 2015 New York. Attorney Early has been recognized by two of the best lawyer rating systems in the U.S. He has been selected for inclusion in the oldest lawyer rating publication, Best Lawyers, which is widely recognized for accuracy and integrity (2012-2015 — Mass Tort Litigation/Class Actions — Plaintiffs). He has also been named “Super Lawyer” by the Super Lawyers rating service in recognition of his professional achievement and the high degree of peer recognition that he has earned throughout his career (2007, 2009-2015 — Products Plaintiff. No more than 5% of the lawyers in any given state are awarded this prestigious designation.